PUMP PART NO: 0265231528. ECU PART NO: 0265800418. FOR YEARS: 2006 (2006). THE CONDITION OF THE PART YOU WILL RECEIVE. THIS PART HAS BEEN TESTED PRIOR TO REMOVAL AND IS IN FULL WORKING ORDER UNLESS STATED OTHERWISE. J&R CV Joints. BRAKE CALIPER. LAND ROVER. BOOTKIT / GAITER. BRAKE CALIPER REPAIR KIT. your vehicle. fitted throughout a production run or your vehicle may have been modified. So even if your vehicle. PROTON IMPIAN GLS 1.6 LITRE PETROL 5 SPEED MANUAL 5 DOOR 2009 MODEL. SCREEN WASH BOTTLE AND PUMP. AJ SPARES is a large independent Vehicle Dismantlers. PART NUMBER - N/A. South Yorkshire. The Blue Containers. GEN 2 CM 1.6 Petrol 16V 5SP. 1.6 Petrol - Manual - Part Numbers 0265231528 / PW822993 / 0265800418 - In good working order. ABS Pump/Modulator. This part was removed from a Right Hand Drive Vehicle. Compatibility is a guide only. Spurstangen/ -köpfe. Koppelstangen & Pendelstützen. Querlenker/ Traggelenke/ Lager. Federn /Stossdämpfer. PERSONA 400 (C9_S). PERSONA 400 Hatchback (C9_C, C9_S). PROTON Persona 400 Hatchback 415 GLI/GLSi. PART NUMBER:13369502 13369501. WE HELP YOU FOR A HASSLE-FREE, SIMPLE AND EFFICIENT WAY TO HANDLE ANY ISSUES. Item Specifics:2005 - 2014 - 1.2 PETROL - ABS PUMP / MODULATOR - PART NO PW861489. SAVVY 2005 -2014 Mk 1. Part:ABS Pump/Modulator. This ABS Pump/Modulator was removed from a2006 car and has been fully inspected. ABS Ring - Sensorring für den Gelenksatz. Schreiben Sie uns. Antriebswellen Spezialist aus Berlin. Alle Rechte vorbehalten. von Ihrem Originalteil unterscheiden! Neue Öffnungszeiten. PROTON PERSONA 400 Hatchback (C9_C, C9_S) 1,5 1.1994-. PROTON IMPIAN GLS 1.6 LITRE PETROL 5 SPEED MANUAL 5 DOOR 2009 MODEL. PART NUMBER - 1309180S. ABS PUMP UNIT. AJ SPARES is a large independent Vehicle Dismantlers. The Blue Containers. GEARBOX CODE - F5M41. Capteur ABS pour Proton Compact 1.6 BOSCH. 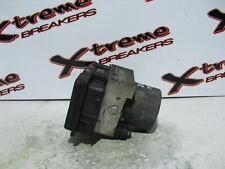 GENUINE PROTON GEN 2 1.6 PETROL 04-05-06-07-08-09 ABS PUMP. The abs pump will fit from 2004 - 2005 - 2006 - 2007 - 2008 - 2009, also the abs pump is in full prefect working order, condition and without any problems, it is just the abs pump and it is a genuine proton part, also it has been checked and tested before it was removed from the car. PROTON Wira -- (2000-2018). PROTON Wira Hatchback -- (2000-2018). 2x ABS RING SENSORRING VORNE BEIDSEITIG 43 ZÄHNE FÜR MITSUBISHI GALANT LANCER. 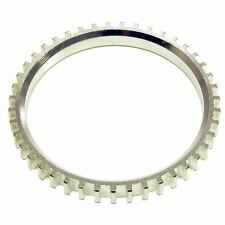 ABS RING SENSORRING VORNE BEIDSEITIG 43 ZÄHNE FÜR MITSUBISHI GALANT LANCER NEU . Proton Savvy ABS Pump. 1.2 Petrol. PW820824 13369502 EBC430 S108197005 13369501 13369401. 2006 PROTON IMPIAN ABS PUMP & MODULATOR / MODULE. OUR REF / SHELF. PROTON IMPIAN GLS 1.6 LITRE PETROL 5 SPEED MANUAL 5 DOOR 2009 MODEL. WATER COOLANT BOTTLE. S.B (BAY 4). AJ SPARES is a large independent Vehicle Dismantlers. PART NUMBER - N/A. South Yorkshire. The Blue Containers. PROTON Wira - (2000-2018). Hayon PROTON Wira - (2000-2018). PROTON persona 400 berline avec hayon arrière C9_C, C9_S (1994-2000). Personnage PROTON 400 C9_S (1994-2000). BAGUE ESSIEU AVANT DE BAGUE CAPTEUR ABS SUR LES DEUX DENTS DE CÔTÉS 43 POUR LE PROTON PERSONA WIRA NOUVEAU. Part Number : 0265231528. Details : PROTON GEN-2 GLS STEP4 LEATHER ABS Pump/Modulator Mk1GEN-2 2007. Make : PROTON. Fuel type : Petrol. Part Type : ABS Pump/Modulator. Year : 2007. Item Details Our Part Reference : 0001479026. Part Number: PW861489 06.9102-0018.4. 2006 PROTON SAVVY. Make: PROTON Transmission: 5 Speed. Year: 2006 Fuel Type: Petrol. This has been taken from a 2006 SAVVY but may suit other models. Model: SAVVY Door Plan: 4 Door. PROTON WIRA (C9_C, C9_S) 1.3 1,3. TIE ROD AND STABILISER LINK. APEC WEAR INDICATOR, BRAKE PAD. BALL JOINTS OE QUALITY. FIRSTLINE BALL JOINTS. LEMFORDER BALL JOINTS. DENSO SENSOR. Blue Print Filter Service Kits. PROTON persona 400 berline avec hayon arrière C9_C, C9_S (1994-2000). Personnage PROTON 400 C9_S (1994-2000). PROTON Wira - (2000-2018). Hayon PROTON Wira - (2000-2018). 2x ABS Anneau. BAGUE ESSIEU AVANT DE BAGUE CAPTEUR ABS SUR LES DEUX DENTS DE CÔTÉS 43 POUR LE PROTON PERSONA WIRA NOUVEAU.
" alt="Newstead Breakers - PROTON GEN-2 2007 1.3 ABS UNIT-0265800418/0265231528" />. Our Product Location Number: BX 059. Cash on Collection. Credit/Debit Card on Collection. ALL DOORS, BOOT LIDS, BONNETS AND BODY PANELS ARE SECOND HAND BUT ARE IN USABLE CONDITION BUT MAY HAVE MARKS & NEED PAINTING. BOSCH - 0265231528;. PROTON GEN-2 ABS Pump/Modulator. 2008 PROTON GEN-2 which we are dismantling. The Part imaged and described is th eactual part you will recieve. Drive side. Drive type. The Vehicle details from which this part was removed are as follows :-. PW861489 06.9102-0018.4. OUR REF: B58. 2006 PROTON SAVVY 1.2 Style 5DR. USED PART WORKING FINE. PERSONA 400 (C9_S). PERSONA 400 hayon (C9_C, C9_S). Hayon de PROTON PERSONA 400 416 GLXi. Hayon PROTON persona 400 415 GLI/GLSi. PROTON PERSONA 400 416 GLXi. Personnage PROTON 400 415 GLI/GLSi. Hayon de LANCER IV (C6_A, C7_A). PART NUMBER:PW822846 0265231528. WE HELP YOU FOR A HASSLE-FREE, SIMPLE AND EFFICIENT WAY TO HANDLE ANY ISSUES. PROTON Wira - (2000-2018). Hayon PROTON Wira - (2000-2018). PROTON persona 400 berline avec hayon arrière C9_C, C9_S (1994-2000). Personnage PROTON 400 C9_S (1994-2000). 2 x essieu avant ABS capteur bague sur les deux côtés 43 dents pour PROTON PERSONA WIRA. 0265231528 PW822993. 2012 PROTON GEN-2 1.6 5DR ABS PUMP. USED PART WORKING FINE. J&R CV Joints. BRAKE CALIPER. LAND ROVER. BOOTKIT / GAITER. carefully before ordering any Goods or Services from us. By ordering any of the Goods or Services. Fits All models (Exc 1.3 Models). with over 25 years experience. Gauche / droite roue vitesse capteur 45825 Fits PROTON WIRA 1,3 L. Avant L & R roue vitesse capteur 45825 Fits PROTON WIRA 1,3 L. Manufacturer Part Number 45825. PROTON WIRA (C9_C, C9_S) 1,3 1,3. CAPTEUR DENSO. Sensorring, ABS Zähnezahl: 43 Einbauseite: Vorderachse beidseitig Breite [mm]: 8,2 mm Innendurchmesser [mm]: 65,9 mm Außendurchmesser [mm]: 78,0 mm. PROTON Wira -- (2000-2018). PROTON Wira Hatchback -- (2000-2018). ABS RING SENSORRING VORNE BEIDSEITIG 43 ZÄHNE FÜR MITSUBISHI GALANT LANCER NEU . 2x ABS RING SENSORRING VORNE BEIDSEITIG 43 ZÄHNE FÜR MITSUBISHI GALANT LANCER. Proton Savvy 2016 -- [2005-2019] Hatchback 1.2 Hatchback 1149ccm 75HP 55KW (Petrol). Proton Savvy 2015 -- [2005-2019] Hatchback 1.2 Hatchback 1149ccm 75HP 55KW (Petrol). Proton Savvy 2014 -- [2005-2019] Hatchback 1.2 Hatchback 1149ccm 75HP 55KW (Petrol). PW822846 / 0265231528. 2005 PROTON GEN-2 1.6 GLS 5DR ABS PUMP. USED PART WORKING FINE. J&R CV Joints. BRAKE CALIPER. LAND ROVER. BOOTKIT / GAITER. BRAKE CALIPER REPAIR KIT. fitted throughout a production run or your vehicle may have been modified. So even if your vehicle. carefully before ordering any Goods or Services from us. PW822846 - 0265800418. 2006 PROTON GEN-2 1.6 GLS 5DR. Details : PROTON IMPIAN 16V ABS Pump/Modulator ABS ABS ModulatorIMPIAN 2003. Vehicle Details : 2003 PROTON IMPIAN 16VIMPIAN 2003. PROTON IMPIAN 16V ABS Pump/Modulator ABS ABS Modulator 01 02 03 04 05 06 07 08.